Andreas Osterwalder calls his office a museum: what looks like a collection of small machines are 3D printed and partially electroplated parts that the scientist has been creating for his experiments at the Swiss Federal Institute of Technology in Lausanne (EPFL). 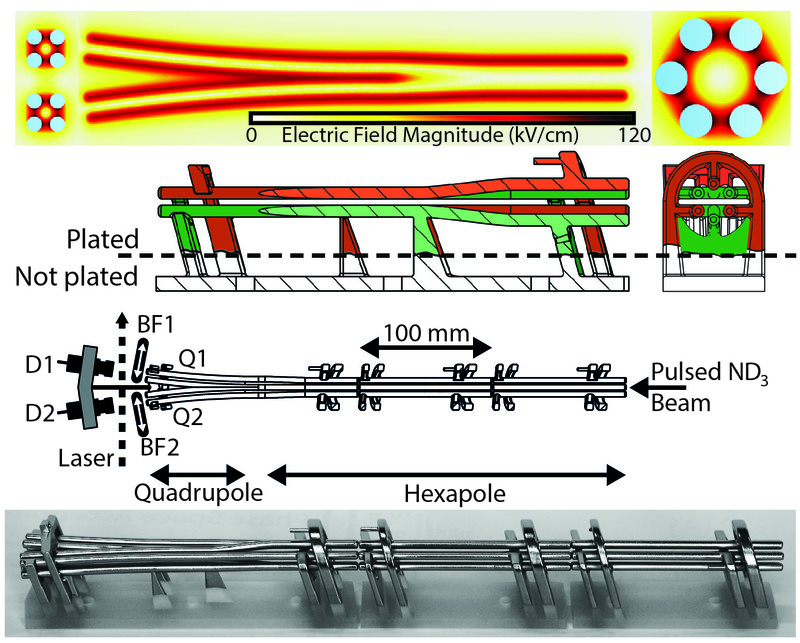 Experimental setups like Osterwalder’s beamsplitter function as highly complex machines, and turning a research idea into the actual experiment can easily take months or even years. A common bottleneck is the actual fabrication of specific customized components. With the help of a electroplating company specialized in rapid prototyping parts, Osterwalder has found a method to expedite and lower the cost of advanced experimental setups using 3D printing and electroplating. Osterwalder’s office, including his “museum” of 3D printed, partially electroplated parts and his beam splitter. Chemical reactions occur when molecules or atoms collide, and most of the chemistry relevant to humans happens at temperatures around room temperature and above. But collisions also take place at much lower temperatures–even if there is almost no movement. The goal of Osterwalder’s research is to study chemistry at absolute zero, -273.15 °C, in order to understand some of the most basic aspects of molecular interactions. In order to observe and control molecules at such a low temperature, scientists have to be able to completely control their motion. “You can imagine a jet of water: the molecule beam is inside a vacuum and in this condition we can start controlling the direction in which the jet is steered,” said Osterwalder, who created a macroscopic beam splitter for this experiment. A researcher can come up with a complex technical drawing in no time, but manufacturing the experimental setup relies on precision engineering with traditional manufacturing methods like CNC or machining that normally take several months. Osterwalder wanted to find a faster and more cost-effective method to go from idea to experiment. He first became aware of 3D printing around 2009, but then-available fused deposition modeling (FDM), stereolithography (SLA), and metal sintering technologies were not precise enough or too expensive for his purposes. Stereolithography is a 3D printing technology that uses a laser to cure a resin into a finished part. Learn more about SLA and how it's used. Osterwalder’s 3D printed and electroplated beam splitter allows him to split a stream of gas-phase molecules into two streams without touching the molecules. The metal structure is used to produce strong electric fields by applying voltages on the order of 10,000 volts. These fields then generate a force on the molecules. Similar devices are simple to construct for light–for example, a partially reflecting window–but are much harder to achieve for molecules. The above illustration shows Osterwalder’s beam splitter, an electrode structure of 35 cm length, printed in three segments of 15 cm, 10 cm, and 10 cm at a 0.025 mm resolution. Using 3D printing and electroplating, Osterwalder could reduce the production time of this experimental setup from several months to under one week. Osterwalder needed a few days to design the beam splitter and only 36 hours for 3D printing in his own lab. Electroplating the structure in nickel took just one more day. In the end, shipping the 3D printed parts back and forth from the electroplating company took longer than anything else in the process. From chrome-plated water taps or the grills of a car, electroplated parts are everywhere: coated with chromium, silver, or another high-quality metal by electrolysis to improve appearance and material properties such as wear resistance and electrical conductivity. Electroplating plastics, however, is a challenge. Plastics generally do not conduct electricity, which is essential for the electroplating process. A chemical pretreatment can solve this problem, but until the early 2000s this process only showed success with a few plastics, such as ABS. Osterwalder turned to Swiss company Galvotec for guidance. 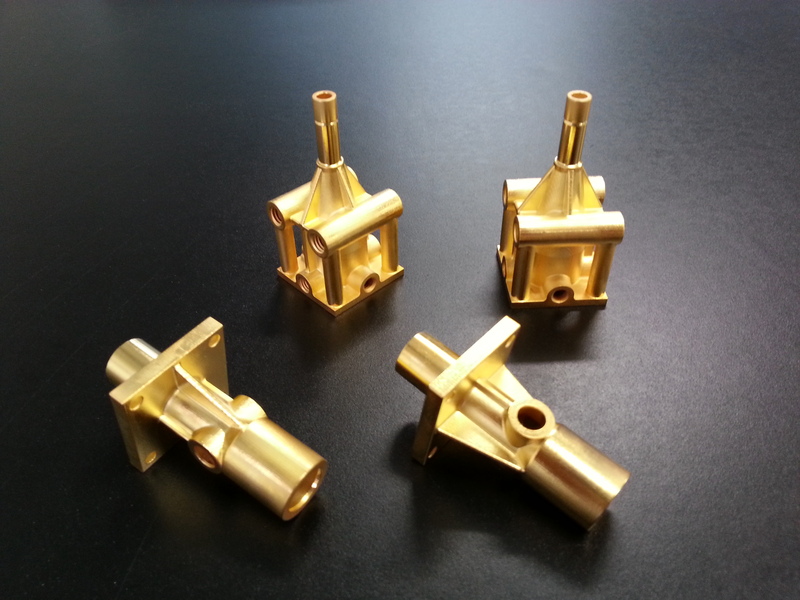 3D printed parts in gold, electroplated by the Swiss company Galvotec, one of few in the world specializing in metal coating for rapid prototyping. Electroplating is used to improve appearance and material properties such as strength and electrical conductivity. According to Schuhmacher, electroplating can extensively broaden the range of applications for 3D printing. Material properties that electroplating can achieve for 3D printed parts go from being electrically conductive, magnetic, or electromagnetic to having higher wear resistance and dimensional stability. In addition, there is an entire palette of decorative coating, such as gold. Electroplating 3D printed parts is still a novelty. While it holds obvious benefits for engineering, Osterwalder also sees a huge potential for scientific applications. 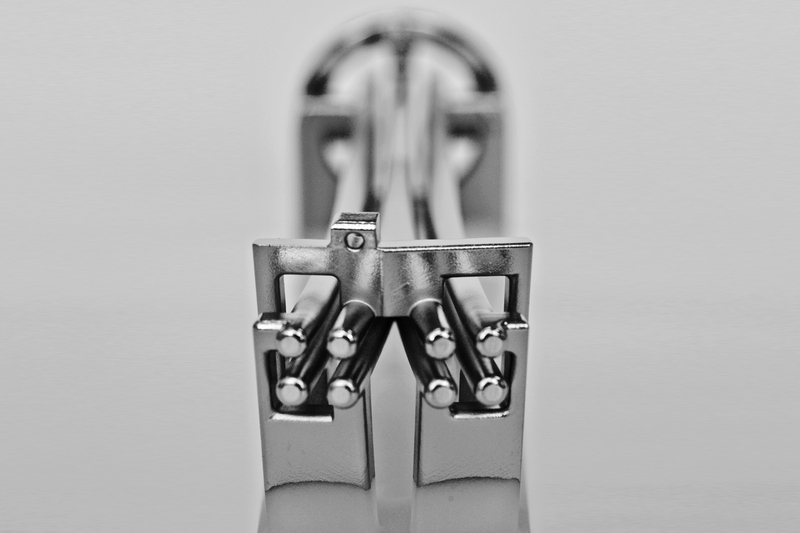 Osterwalder found the high quality surface of the 3D printed and electroplated beam splitter to be better than machined and polished devices of the same kind. The scientist is convinced that the combination of 3D printing technology and electroplating can be extended to construct otherwise impossible experiments. Read Osterwalder and Gordon’s recently published research paper to understand how electroplating a 3D printed plastic piece opens a plethora of avenues for research. Looking to the future, Osterwalder doesn’t believe these advantages are constrained to his specific research. In fact, for him the question is not what to do with a 3D printed beam splitter, but how it can be reproduced for other experiments. “In almost any field of research, duplicating the exact same experiment is crucial for verification and further investigations. 3D printing could allow us to create a flexible system, built like LEGO blocks, in which each part is 3D printed and can be duplicated,” said Osterwalder. His vision is to empower research institutes and labs around the world to conduct and reproduce experiments simply by transferring an STL file. Inspired by Andrea’s Osterwalder’s 3D printed beam splitter? Learn how to make 3D printing your ultimate tool for research and education.